Can you tell the biggest and best story of all? Can you make your friends/child/parents/professors believe anything you say? Can you weave a tale so amazing that folks can’t help but believe it? Come and lay a claim and bragging rights to the title of “The Biggest Liar In All The South” at The Steampunk and Makers Fair, downtown Lafayette on Saturday, November 9th. Pay the $5 entry fee, weave your story in 5 minutes or less, then pick up the cash prize ($100 Adult 18 and up - $50 Youth 5 to 17) and elegant stainless steel Steampunk and Makers Fair award made by our Title Sponsor, Begneaud Manufacturing. Pre-register online at www.steampunkandmakesfair.org, or, register before 11 AM when the stories commence. Guest Judges start judging at the Liars Contest stage, Cite des Arts, 109 Vine St.. Join the fray or be a part of our gullible - uh gracious audience. Finalists and winners will be on the main stage at 5 PM. 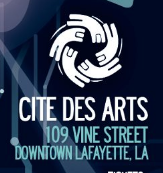 Co-sponsored by Cité des Arts and The Lafayette Science Museum. Supported by Lafayette Convention and Visitors Commission, Begneaud Manufacturing, Noble Plastics, William L. Goode, Clark Services, The Filling Station and Hilton, Lafayette.